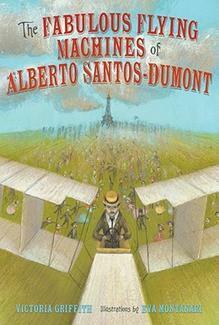 This oversized picture book presents several scenes from Alberto Santos-Dumont's life. Considered by many to be the true first inventor of the airplane, Dumont was famous during the early part of his life, although he quickly sank into obscurity. This book focuses on three scenes in his life; flying his dirigible around Paris, his friendship with Louis Cartier, inspiring the creation of men's wristwatches, and his first ascension in his plane, wildly successful despite the rivalry of Louis Bleriot. Throughout the three imagined scenes, based on historical events, Dumont's dreams of airplanes as everyday transportation and keys to world peace are emphasized. A lengthy author's note gives the history of Santos-Dumont's life, the author's inspiration, a few photographs, and context for the three stories included in the book. A bibliography, index, and note on the art is also included. Eva Montanari's illustrations recreate the historical setting. Her Impressionist style and elongated figures capture the excitement and bustle of Paris after the turn of the century. and focus the reader's eye on the main characters of each scene. There is limited detail in facial features and mechanical areas, but the story is really about personalities and events and Montanari's art reflects this. I didn't care for this book the first time I read it, the events seemed random and out of context and I disliked the fictional dialogue. However, my interest increased when I read the author's note and looked over the story a few more times and I found the structure interesting after all. It's just enough information to interest students in pursuing the story further, with the three points in the aviator's life providing different perspectives and points for research. Verdict: Recommended for school libraries or if you're fortunate enough to have adult patrons who still read aloud to their elementary aged children. Keep in mind that the book will probably have to be shelved in your oversized section because of its height. This week at the library; or, Series, Series, Series! Life - and programs - continue, but I have a big project coming up in February. I'm figuring not many people will be showing up during that month, so I'm planning a big change and reorganization of the children's area. Once it's finished, I think I will finally have the children's area exactly as I want it! One of the major things I'll be doing is weeding, refreshing, and shifting the juvenile series. These are all beginning chapter books and are looking rather tired. So, QUESTION TIME!! What are your favorite, most popular beginning chapter book series and genres? Monday - A morning of interesting questions...a patron who wanted a particular book in the series wouldn't really believe me when I explained it was a "vook" (which was new to me) and not a "real" book. Somebody, apparently inspired by the Recall Walker petition people in the lobby, wants to set up a vegan food sampler in our lobby. No school, so lots of kids today as well. And an entire afternoon of meetings. No matter how many meetings we have, it's never enough! sang "the animals in the ocean" to the tune of "the wheels on the bus"
Then the kids made bleeding art tissue paper fishes. Some finished early, so I hastily read Down by the cool of the pool by Tony Mitton (which really only works if you're jumping up and down and I should have done a storytelling instead). The tables of books weren't really necessary, the teachers wanted the books I had read and a few more, but didn't have time to look at them. The 40 kids did a great job listening and they learned several new words! This wasn't too time-consuming - about 45 minutes to set up the room with my aide's help, 25 minutes of storytime, 20 minutes of craft and putting on coats, and about 45 minutes to clean up and put everything away. Mostly. Then I spent a couple hours on the desk and also cutting out peacocks for our bird storytime tomorrow. My to do list stretches forth, but I ignored it and went home only 15 minutes late. Wednesday - Had a really big group of kids for Preschool Interactive, at least 20 (because when we did Pretty Ladybug, I handed out 20 dots. So that's how I know). Went well although I was NOT organized, had to go back to my office for the name tags and then for the books! I am always reminding myself that every storytime does not have to be perfect. I don't have to have the perfect books, the perfect combination, etc. It's ok if I don't have every single child riveted every moment. I remind myself of this when things are kind of crazy like this morning. They told me I was a good storyteller! Lego Club is booming again, back to 45 people today! I am going to have to think about rearranging the room again. Thursday - I did have another Lakeland visit today, just three guys. We had a slow tour of the library, the bookdrops being the highlight as always, and some stories in the storyroom, A dog is a dog, Jan Thomas' Doghouse, and Duck Soup. Our second try at the Elephant and Piggie Kids' Club! We were mostly snowed out the first time, so I just did the same thing again this time. It was HUGE! I only had a couple kids when I started promptly at 3:30, but they started trickling in a few minutes later. By the time we finished our last story at 4pm, I had about 15 kids ages 3 to 10, mostly in the 5-7 range. As we were painting piggies, some more kids stuck their heads in the door and asked if they could come in...then a group of middle school girls...so we ended up with around 35! I still need to work on integrating puppets - I'm not really sure how to hold a book and a puppet, and not really comfortable enough to do the puppets without the books, so I had the kids do the puppets, which kinda worked, but not as well as I wanted. I need more rehearsal, but for that I need more time and, well...anyways, this is what we did. Introduction: Elephant and Piggie are all about friends and stories. The Elephant and Piggie Kids' Club will focus on listening to and telling stories, puppets, and working together as friends! It was Girl Scout (Daisies) night, which is always exciting and I also had reserved our Storyroom for the Cub Scouts, who showed up promptly as the Daisies were leaving...all three of them. Turned out some people had cancelled the meeting, but hadn't told everybody else or something. Friday - No programs, just me and the Amazon orders (I am the queen of Amazon) and planning all the crafts for February, so I can plan what I need to order, so I can plan what I need my aide to cut out and prepare so I can plan the publicity...you get the point. I still have to plan the actual programs asides from the crafts and projects. Also had a hectic afternoon on the desk. My sore throat is telling me grimly that if I don't get more sleep it's going to transform from a "I'm tired" sore throat to a "I'm sick" sore throat, so I will probably let most of my planned work for the weekend go and catch up on sleep with large amounts of orange juice. 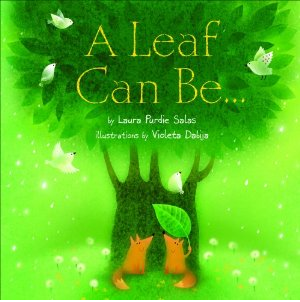 Laura Salas' poem of the many uses and beauties of a tree is illuminated by Dabija's softly glowing pastels. The poem drifts through the many functions of leaves, from shelter for animals to collecting sunlight, producing food to becoming food. In the second half of the poem, the author shows leaves' second life off the tree, in piles, coloring the hills, and providing medicines and ground cover. Dabija's illustrations have a slight cartoonish look, softened by her lively colors that show a peaceful, green world. Some of the illustrations are a little confusing, as the reader tries to figure out exactly where the leaves are and what they're doing, as when it says "food maker" and the illustrations show a tree with oranges, implying that leaves make fruit, at least in my mind. At the end, a "more about leaves" section identifies and explains in more detail each function described in poetic language. Some of the these explanations are so brief they don't really explain at all, "Sun Taker: One of the major jobs of a leaf is to take in sunlight" but most of the explanations are clear enough. A glossary identifies some of the words in the "more about leaves" section and a brief bibliography offers further reading. The illustrations and poetic language seemed aimed at very young children, but the further information, especially with terms that needed definition in a glossary, for an older audience. This is a sweet book, but it tries a little too hard to be all things for all ages. Verdict: The lovely illustrations and simply lyrical poem will make this a good storytime choice, but Millbrook is one of those publishers where it's library bound or nothing, so you'll have to decide if it's worth the extra five dollars. I'll wait and see what other easy nonfiction I need to buy this year before deciding. 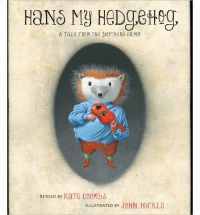 Blog Tour with Kate Coombs, celebrating Hans My Hedgehog! Welcome to my stop on Kate Coombs' blog tour, celebrating the release of her new folktale retelling, Hans My Hedgehog! In case you missed it, I posted a review of this delightful retelling yesterday. I'm very interested in contemporary folktale retellings right now, because my new library program, the Elephant and Piggie Kids' Club, is focused on folktales and puppetry (and Elephant and Piggie, of course). I asked Kate Coombs some questions about herself in general and folktales in particular and she had some interesting answers. Enjoy! So. Who are you really, Kate Coombs? I'm a person who's in love with words and the books that hold them. As a child, I knew I would grow up to be an author, and a children's fantasy writer, at that. I wrote a lot of plays and poems at an early age. Other than that, I'd say I am someone who likes chocolate a little too much. I come from a large, multiethnic family (we're all adopted). I also have some close friends who make my life very rich. I collect folk art, seashells, and—since I moved from California to Utah last summer—winter clothes and a much-appreciated ice scraper. Having just finished the Cybils Nonfiction Picture Book panel, I've been thinking a lot about back matter - sources, bibliography, etc. How important is it to communicate to readers where your story came from? I wrote an author's note for Hans My Hedgehog in part because I had been hearing a lot about back matter, which told me there was an audience out there of people who wanted to know about story sources. Besides, I made some significant changes to the story, so I wanted to be very clear about that. Should we/how can we explain story sources to kids, other than the standard "this story was told a long time ago by people in x country?" Is it important to do so? The author's note is mostly for adults. I like to tell kids that 200 or 300 years ago, before there were TVs or radios or the Internet or movies or even electric lights and books, people used to sit around telling stories to entertain each other. Then, when books did come along, guys like the Brothers Grimm in Germany went around and wrote down a bunch of those old stories. Hans My Hedgehog is one folktale they recorded. So are some of the Disney princess stories, though they've been changed quite a bit. What is the purpose of giving this kind of credit, after all? We acknowledge the original creator of the work in as much as that's possible, which is only fair. In addition, we give the story a context, sort of like saying to someone you've just met, "Where are you from?" It does matter, but it's just one piece of the puzzle. This is kind of a tired question, but I'm going to bring it up again - in telling folktales to young audiences (I'm thinking preschool) do we sanitize them? For example, I have parents who were shocked, SHOCKED, that the gingerbread boy gets eaten at the end. I've always wimped out on the wolf eating the first two little pigs. Should children hear these stories in their original form? I do think any need for sanitizing varies by age, as well as by the child in question. My cousin's son was terrified of Disney movies as a toddler—and if you think about it, most of them have really scary chase or fight scenes full of roaring monsters and billowing black-and-purple clouds with lightning glaring through them towards the end. Pre-K kids are usually up for the "3's": The Three Bears, The Three Little Pigs, and The Three Billy Goats Gruff. Plus maybe The Little Red Hen. Little Red Riding Hood is questionable for some little ones, and something like Hansel and Gretel is obviously not a good story for toddlers. But, as you said, the question comes up even in the case of the simpler folktales. I mean, I can see why people want to save those first two pig brothers. It's just so tempting. Of course, we are forgetting that a story like that was actually intended to punish the lazy pigs and reward the hard-working pig. It doesn't teach much of a lesson if the two lazy brothers escape unscathed. And since children can be pretty ruthless about justice, they are often fine with this turn of events. On a related note, some rather young kids are blithe about all this violence because they see it over and over on TV, if only in cartoons. And they are right in one sense—the violence in a story like The Gingerbread Boy or The Three Little Pigs is cartoonish. It's all in fun, delightfully gruesome in the same way that a ghost story like The Teeny Tiny Woman is delightfully frightful. On top of that question, retellings! How much of the original story should a retelling encompass - is it ok to change endings, genders, and behaviors of the characters? This may sound like a copout, but I am completely sincere when I say that a retelling works just fine with quite a few changes as long as it retains the spirit of the original. This is probably easier to see in middle grade and young adult novelizations of fairy tales. 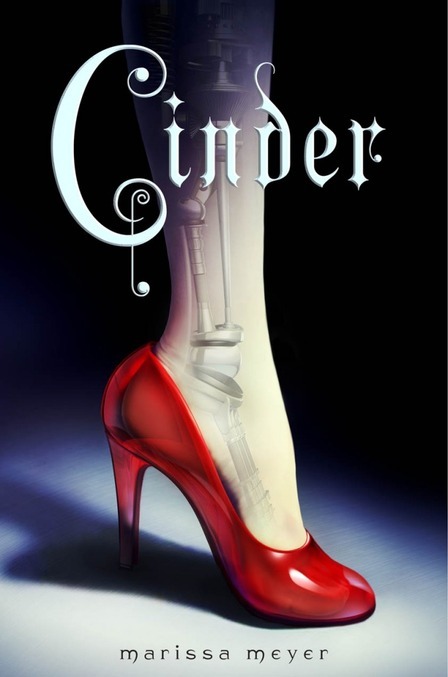 A story like Ella Enchanted remains true to Cinderella in one way, while Marissa Meyer's new book Cinder remains true to it in another. To go into a little more detail about Cinderella, what these novelizations and retellings retain is a sense of injustice that resonates with everyone, but especially with children of a certain age (and particularly middle children!). That is, as we used to put it, "Nobody loves me/Everybody hates me/I'm going to go eat worms." The glass slipper and the pumpkin coach are marvelous details, but what really matters is the feeling of familial persecution and the relief of having other people turn out to be so much more discerning about how wonderful one really is. In this story, "other people" means the handsome prince and, by extension, the entire society he represents. So, while we tend to focus on the romance in talking about this classic fairy tale, I suspect Cinderella is mostly about being able to say vicariously to that unappreciative group of people known as family, "Neener, neener, I am too important!" What did you change in retelling Hans my Hedgehog and why? When I was first asked to retell Hans, the editor told me that the original was "violent and meandering." I read the Grimms' tale and had to agree. 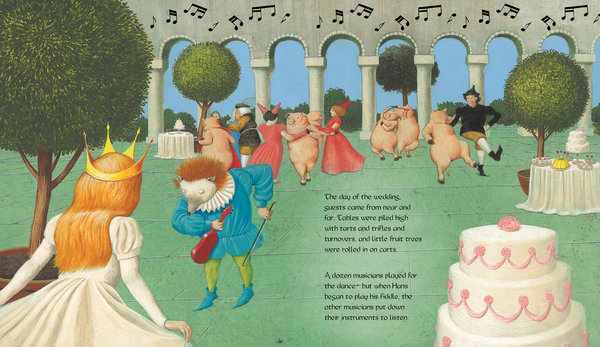 As I explain in my author's note, in the original story Hans' parents hate him, the pig herd is slaughtered, Hans treats the first princess very badly, and the way Hans is reclaimed from hedgehoghood is both draggy and depressing. So those are some key things I changed. More important, what did I keep? The strangeness of a boy who is half hedgehog, of course—and the resulting social ostracism. The music, though I changed the bagpipe to a fiddle (illustrator John Nickle's idea) and made the music part of the magic. 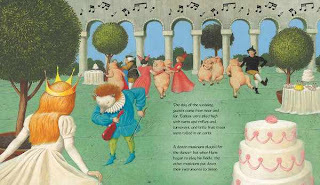 I kept the pigs, but I saved their lives and made them the amusing instrument of Hans' revenge on the first king. I retained the promises two kings made in the forest and the way they handled those promises when Hans came calling. In particular, I kept Hans' perseverance in the face of adversity. I do feel I was true to the story. In fact, I'd like to think I was a little truer. The original didn't hang together very well, which is one reason it hasn't been retold much over the years. It seems like the number of new folk and fairy tale retellings dwindles every year. Are these stories still relevant? The number of new folk and fairy tale retellings is definitely dwindling. The theory is that parents are pushing their children to read chapter books earlier, so picture books for 6- to 8-year-olds are getting squeezed out. As one of my editors told me last year, her acquisitions team only wants picture books for toddlers at this point. I think this shows a real lack of understanding on the part of parents and publishers about the role of picture books in promoting the growth of young readers in that in-between stage, whether the books are used as read-alouds or for independent reading. I know I used to read some amazing longer picture books to first graders, and they became really driven to improve their reading because of the sheer stunning power of those books. One of their favorites was The Talking Eggs by Robert D. San Souci, illustrated by Jerry Pinkney. It's a Southern American variation of a weirdly wonderful European folktale. When my first picture book came out, I found that first graders couldn't understand it very well, and it went completely over the heads of kindergartners. It's a rather sophisticated original folktale. Second graders were on board, however. Age really does have a lot to do with the success of a particular book. William Steig's The Magic Pebble, for example, is a great story, but it's pretty complex for many five-year-olds. It would be even harder for a three-year-old to follow with any degree of patience. I have found that most 6- to 8-year-olds really enjoy listening to longer picture books. Just don't ever betray their trust by reading them books that aren't utterly fantastic! Another consideration is whether you have just one child or a group. One child can focus, not just because of adult attention, but because she isn't distracted by all those other kids. There are some pretty eerie-cool books for slightly older kids who think folktales are babyish. The story of Baba Yaga and Vasilisa the Brave, retold by Marianna Mayer and illustrated by Kinuko Y. Craft, is one that comes to mind. When I took those picture books seriously, the older kids seemed to feel they could join me. A great story is a great story. Along those lines, do you have any thoughts on storytelling? I haven't been successful in getting audiences for storytellers who don't have any bells and whistles - is storytelling dying along with the folktale, or is there still hope? I think if the storyteller is sucked into the story, kids will be, too. But you have to play the audience to hook them in the first place, and that's not always easy. Right age, right story, and a touch of magic...then it works. In the library setting, it may be partly a question of hooking busy parents, and that's even trickier. Maybe the kids would like to come and listen, but their parents are too intent on rushing around to bring them. Recommendation time! What are your favorite folk and fairy tales to share with young audiences? I'm going to name books for those slightly older primary grade kids since I think they're less familiar to many library-goers. I've already mentioned The Talking Eggs, a real winner. 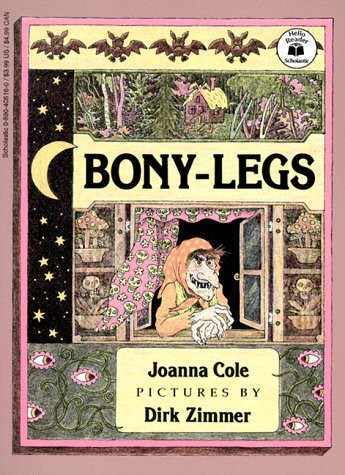 Bony Legs by Joanna Cole and Derek Zimmer is another goodie—notice that it's also a Baba Yaga story. It's intended as an easy reader, but I've had older students who really got into it. East of the Sun, West of the Moon is a long but wonderful story. Mercer Mayer and P.J. Lynch have both done nice versions. 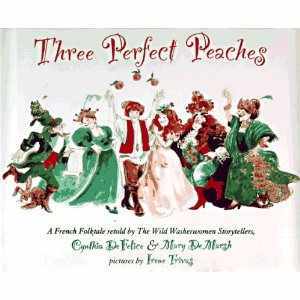 A crazy, fun story not everyone is familiar with is Three Perfect Peaches. The version I have is by Cynthia DeFelice and Mary DeMarsh, illustrated by Irene Trivas. Aaron Shepard's retelling of One-Eye! Two-Eyes! Three-Eyes! as illustrated by Gary Clement is lively and appealing, with some cheerfully deliberate anachronisms in the artwork. I'll just list several others I like: Mr. Semolina-Semolinus, retold by Anthony L. Manna and Christodoula Mitakidou and illustrated by Giselle Potter; The Language of Birds, retold by Rafe Martin and illustrated by Susan Gaber; Little Sister and the Month Brothers, retold by Beatrice Schenk de Regniers and illustrated by Margot Tomes; Caldecott winner The Fool of the World and the Flying Ship, retold by Arthur Ransome and illustrated by Uri Shulevitz; Iron John, retold by Marianna Mayer and illustrated by Winslow Pels; The Water of Life, retold by Barbara Rogasky and illustrated by Trina Schart Hyman; Tatterhood and the Hobgoblins, retold and illustrated by Lauren Mills; and The Tinderbox, a rather dire Hans Christian Andersen story recently retold by Stephen Mitchell and illustrated by Bagram Ibatoulline. Are there good retellings out there for the preschool crowd? Oh, that's a little harder! I have already mentioned classics such as the "3" stories. Byron Barton has retold a few such tales for very young readers in board book format, but they probably work best as bedtime stories. Pre-K kids have trouble sitting still for a story in a group—they're just so easily distracted by one another, along with whatever's out the window, a loose bit of carpet, a single ant, you name it. Cumulative tales, well-rhymed stories, sung stories, and chants are most effective with smaller children. And really, some of those books are also from the oral tradition. Look at Mother Goose, for example. Michael Rosen's Little Rabbit Foo-Foo and Simms Taback's There Was an Old Lady Who Swallowed a Fly are the kinds of books I'm thinking about. Also, surprisingly, The Fox Went Out on a Chilly Night, illustrated by Peter Spier. I used to sing that one to first graders, and the kids were charmed. 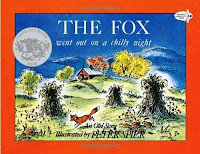 Ultimately, the famous "3" stories and tales like The Little Red Hen or The Gingerbread Man are cumulative, have a refrain, or use some other predictable pattern: e.g., porridge, porridge, porridge; chair, chair, chair; bed, bed, bed—three cumulative sets, perhaps? These patterns no doubt help explain why they work with little listeners. What is your experience in sharing these stories with audiences? I can usually hook them, and I never use bells and whistles. Of course, I have an extremely high story immersion factor myself, and I think it's contagious. But the wrong book for the wrong age group is a hard sell, no matter what. I've had a few flops in amongst my storytelling successes, believe me! Yet my deep belief in the power of story keeps me going—and keeps me writing. Join me again on Thursday, January 26th for an interview with Kate Coombs talking about folktales and her inspiration! You can check out the rest of the blog tour at her blog, Book Aunt. The original Hans My Hedgehog folktale is a more violent version of the familiar Beauty and the Beast, involving the familiar tropes of a transformed man and a woman who must prove loyal and loving. Hans, however, also takes his revenge on the nobility who trick and betray him. In Kate Coomb's new retelling of this odd folktale, she emphasizes the themes of seeing beneath the surface and tones down the violence to create a tale that is faithful to the original story, but also appropriate for modern audiences and sensibilities. A prosperous farmer is so desperate for a son that he says he wants one "even if he's half a hedgehog" and that's exactly what he gets, Hans My Hedgehog. Hans has a special skill with pigs and eventually discovers another talent - music. But even his beautiful fiddle playing doesn't win him a place with the village girls and boys, so he rides off on his rooster to live in the woods with his pigs. When a lost king appears, Hans promises to show him the way out of the magical forest, if he gives Hans the first thing he sees when he gets home. Of course, his daughter appears, but the king has no intention of keeping his promise, and his daughter certainly doesn't plan to either. A few months later, Hans shows another king the way out of the forest, but this king's daughter promises to honor her father's word. Hans hears of his promised princesses from an old woman and sets off to claim them. When the first king and his daughter refuse to honor his promise, Han's pigs wreak havoc on the palace and then depart, taking "half the king's fortune." At the second place, Hans is honored by the king and his daughter and the wedding begins. Hans plays his fiddle until, overcome by the magic he falls to the floor...and is helped up by his new bride, no longer a hedgehog but a man. Coombs explains the changes she made in an afterword to the tale, showing how she shifted characters and events to emphasize the enduring themes of the stories; being a misfit but wanting to be loved and accepted. The text is simple enough to be read to younger audiences, but includes the repetition and odd little details that make folktales intriguing. John Nickle's colorful acrylic paintings bristle with a motif of spines throughout each picture, with Hans My Hedgehog the central figure in bright clothing and with a cheerful, determined outlook. His plump and sturdy pigs trot after him and his brilliant rooster steed shines with stunning colors. Verdict: This is an excellent retelling of an unusual folktale and will make a great addition to storytimes and library collections. Recommended. I reviewed this back in November. It's interesting, but will not appeal to a wide range of children. In other words, it's a Newbery winner. Yep, called it. I had this on my list of award books I will have to order. At least it's got a pretty cover. 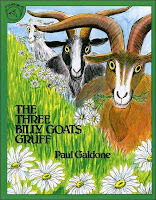 Verse novels for younger grades are rarely popular. I'll buy it. I feel kind of doubtful about it, but I'll buy it. I do appreciate that it's only 140 pages long, which offsets yet another historical fiction title. Yes! We own it! It's very cute. I will buy this, but I RESENT it. This is not a book for children, it's an adult book. Grrr. Yep, had it on the list of probably winners. Still feel kind of doubtful about it, especially since I am not a fan of picture book biographies, especially those for the very young, but oh well. Ok, that was out of left field. I'm not much of a teen reader anyways, but I don't remember seeing this ANYWHERE. Will buy it. Called it! I just ordered that in January because I was pretty sure it would win something. Got that through my Junior Library Guild order. It was interesting, definitely for an older, more mature audience. YES YES YES!!! This book is already hugely popular and I've skimmed it and it's gorgeous. Coretta Scott King - They don't circulate. I don't buy them. And, yep, they're all historical, and nearly all civil rights. That one went on and off the order list quite a few times. I'll put it on for good now. Huh, I don't remember it having anything....oh, learning disability. Ok.
We own it of course. Another one that got bumped off my order list, but I'll go ahead and add it back on. Teens like stories of triumphing over disabilities. And I can buy it in paperback! Alex Awards - I don't pay much attention to these. I'll send the list to our director, who buys the adult fiction. Andrew Carnegie Medal - Otherwise known as the Weston Woods Award, went, of course, to Weston Woods for "Children make terrible pets." I don't buy these - they're horribly overpriced and don't circulate much. Margaret A. Edwards - I'm pleased to see Susan Cooper win this, but she has sadly declined in popularity and audience. That awful movie didn't help either. Oh well, I still love her. Uh...no. It looked pretty but it was too weird. I still think the best anti-war book is No Hero for the Kaiser. I didn't end up buying Faraway Island, so won't buy this sequel, although it looks interesting. Odyssey - I have almost no budget for audio books. When I do buy them, it's either classics (replacing cassettes) or new, popular series. I do NOT agree with this choice. I reviewed this for Cybils and was NOT impressed. I read it and it has great illustrations, but I need folktales I can tell in storytime and there aren't enough bilingual children in my storytime to get the Spanish words. This one is very cute and accessible to a wide range of audiences - I was thinking about buying it and I'll go ahead and get it now. Or I would if it hadn't disappeared from my vendor...ah, out of stock. Ok then, get it later. Verse novel, including Spanish words...hmm, I'll get it although I doubt any kids around here know what mesquite is. It's got a great cover, but Engle's books have not circulated well in the past. I will read it myself and then decide. Oh. It's in verse. Hmmm, a historical novel in verse. Uh, nope. I might still look at it myself though. No. The cover looks oddly amateur. I thought about this one on and off, but wanted to wait and see if it actually won an award. Now I'll buy it. Totally missed this one...hmmm, I bought We Called Ourselves the KKK and I don't think we need this one as well. Allen Say's picture books don't check out much. I don't think this will be of interest to my patrons. Nope. Yay Scientists in the Field!!! I hadn't bought this one yet, b/c I got some other titles first, but now I'll add it to the list. Ehhh, I can't make up my mind about this one. I will read it myself and see if we should have it or not. I'm not sure if the illustrations make it more interesting, or less. Stonewall - Not a lot of call for GLBTQ books here. I've bought several things this past year to fill out this area in the collection and don't need any more. Theodor Seuss Geisel - Can we please rename it the Mo Willems? Come, you know you want to! Tales for Very Picky Eaters by Josh Schneider. Ok, totally missed that one! I think I have it on a tr list somewhere, but that's it. Will buy it, although I think it might actually go in our picture book section...? Huh. That's a surprise. I'm still not convinced, but patrons actually asked for it so it's on the order list now. I don't like Holiday House's I like to read series b/c they're the wrong format for easy readers, but I'll get this anyways and put it in picture books, like I have with some of their other titles. Wow. For a debut author he really started with a bang! Just bought it! Already have teens asking for it. Why do I feel like she's written something else? Will move this from a distant order list to the current list. I was thinking I should really buy this and then realized our director had bought it and put it in adult fiction. Fine by me. All right! I bought this and put it in juvenile. I love Sheinkin's books! I've read the first three and the fourth is on my tr list. All interesting and well-written, but of limited interest to my patrons. These longer nonfiction books are hard to sell, so I probably won't buy them. I love middle grade history books and it's a constant sorrow to me that, like picture book biographies, they so seldom circulate. It seems almost impossible to hit on the right combination of a thrilling and attention-grabbing story, meticulous research, readable prose, and a design that keeps the reader's attention on the book. However, Sally M. Walker has hit all those points with her newest nonfiction offering. Great story with a hook that's easy to booktalk? 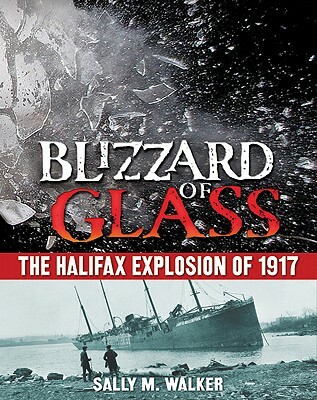 The Halifax explosion was the biggest man-made explosion until the atom bomb. Thousands of people died or were injured and the surrounding towns and cities of the harbor were never the same again. Walker starts out with a broad overview and then narrows her focus down until the reader sees the position of a variety of real people minute by minute before the explosion. Meticulous research? Clearly shown in the resources and in the text following the lives of the people who bring the story alive. After the aftermath of the explosion and an explanation of some of the ways it changed the area, Sally Walker explains how authors and historians like Janet Kitz preserved the stories of survivors and made sure they were not forgotten. Readable prose and design? Yep, the text isn't too small, there are plenty of photographs, all clearly captioned, and the author perfectly walks the line between too much information and not enough. She deftly juggles a wide cast of characters, making each one become real to the reader as we share in the shock and horror and also the kindness and generosity that resulted from the disaster. Verdict: This is one middle grade nonfiction history that will fly off the shelves - I've already booktalked it to instant interest. Highly recommended. Nothing particularly noteworthy occurred on Monday, other than multiple phone calls to ask if we were open (surprise! we were!) and a chance meeting with the middle school librarian, which led to my realization that I was not booked for a visit to the 7th and 8th grades at the middle school, but at the local Catholic parochial school. Whoops! Fortunately, I had barely started to gather books and didn't have anything too inappropriate selected. Tuesday was more of the same, with the adding interest of switching desk times so I worked Tuesday night (and our director was working my Thursday night, then realized she had a conflict, so she switched with our cataloger...in short, a good time was had by all). An interesting observation - while it's all fun and games during regular school days, when it comes time for finals and the teens settle down for study, they divide up strictly by gender. No coed study groups here! Wednesday Another nice group for Preschool Interactive, with some renewed interest in Messy Art. Made more book bundles - we can't keep them on the shelf! Check out the slideshow and links to see them. Messy Art: A patron suggested we make felt snowballs and brought in a sample. It look cool - and easy. Just tie lots of strips of white flannel together and voila! indoor snowball! It looked really simple, but I didn't have time (and didn't think I needed to) actually test it. It, um, didn't work. Maybe we cut the strips of flannel too wide? Didn't tie the string tight enough? Anyways, I now have a huge bag of strips of white flannel. BUT I didn't think that would be enough to keep everyone interested, so I had collage as well - the tubs containing paper scraps, foil scraps, and fabric scraps, a bag of cotton balls, cardboard cut out scraps, and black, blue and white paper. With scissors and glue and a few pencils my 35 people were happy, many of them staying over an hour. I wasn't happy with what I had pulled for the class visits tomorrow, so when I got home I went over to the library in my new town and got Sara The Librarian to help me pull another bagful of books. Only took about an hour. Thursday Came in a little past 9 to get ready for my booktalk and have a quick chat with Miss Pattie about various things. This was the best visit I've done with our local Catholic school, for the upper grades. At least, I think so! Not all my booktalks were as smooth as they could have been, since I ended up pulling a lot of things that I hadn't read or wasn't familiar with, but I changed around the format of my booktalks so I was interacting more with the kids and had them all come up and look at the books afterwards, which worked out really well. I have to remember that I can do these small classes differently than the 100 sixth grade groups I do! I also absolutely MUST purchase a rolling cart of some kind before I again take that many books in my bag...so many thick books! Crazy busy with patrons, trying to fill in displays, getting ready for booksale (not me, but the business infected me) and then went to the regional meeting of school librarians. It was really nice of the local school librarians to invite me and I had a great time, chatting with the school librarians, trading ideas and stories, and finding out more about how their funding works - which affects us! Just another reason why we have GREAT school libraries and collaboration here in Elkhorn! Got home around 7:30pm. Friday Did I mention we're having our big book/bake sale? Did I mention it is BLIZZARDING SNOW? We can't win. Hopefully we'll do well anyways. I opened and covered the desk all morning, then loaded up a bunch of work and took off early for home, before the roads became too bad. I can do publicity and collection development anywhere, after all. I'd seen some talk about Laurel Snyder's newest book online, loved the trailer, and followed some of the reactions and discussion on her blog. I thought I had a pretty good idea of the book, that it would be like her other titles, well-written, with a little bit of quirky fantasy, and strong ties to classic children's books. I was wrong. Laurel Snyder has broken out of her other, delightful but lighter, works and penned a story that is profoundly real, emotional, painful, and yet ultimately hopeful. It completely grasps the feelings and behavior of a twelve year old girl, making her relatable and realistic, but still a unique, individual character. Rebecca knows things aren't going well with her parents. Her dad's been out of work for a long time, ever since his cab was in an accident, and her mom is always tired and upset. But she doesn't expect to come home from school and be shoved into the car with her mom, little brother Lew, and some suitcases and drive from Baltimore to her Gran's house in Atlanta. She's angry, scared, and upset...and then she finds the breadbox. The magic breadbox. It can give her anything she wants; except making things the way they were, the way they should be. Eventually, she realizes that it isn't even making her life easier or better, it's making things worse. Rebecca has to stop depending on magic and make some hard decisions. Things will never be the same and she will never be the same, but maybe life will go on and things will be ok.
Laurel Snyder perfectly captures the confused emotions of a girl who's stuck in a painful situation and doesn't feel she has any control. Rebecca's life and adventures in Atlanta have a kind of stunned, dream-like feeling; the reader perfectly realizes how Rebecca feels that her life is stuck and nothing that's happening is real. There's hope at the end, maybe unrealistic for many kids facing Rebecca's situation, but I think, and would guess that the author agrees with me, that kids need to have hope and realize that they may not be able to fix their parents, but they can choose how they will live their own lives. Verdict: Don't expect this one to fly off the shelves like a Rick Riordan title, but don't relegate it to handing to kids who are going through divorce as bibliotherapy. It's about more than just divorce; it's about growing up, making your own choices, realizing adults aren't perfect and don't have all the answers, and dealing with the complexities of emotions. Highly recommended. In four short stories, we meet Stuey Lewis, who, despite his name, is a thoroughly contemporary child. In the first story, Stuey tries everything he can think of to keep his secret: he's not a good reader. When his sympathetic teacher finally gets it out of him, she has just the right solution and Stuey finds himself gradually becoming an amazing reader! In "The Great Halloween Caper", Stuey comes up with the perfect idea for a Halloween trick, but it almost gets derailed at the last minute, thanks to know-it-all Lilly, his class nemesis. Luckily, his teacher comes to the rescue again and Stuey triumphs! Stuey gets worried again in his third story, when he's scared he can never live up to his older brother's soccer reputation. His teacher helps him see the situation more clearly, but then disaster strikes again when he gets stuck on an almost-all-girls team with Lilly! Will he mess up or help the team win a game - and does he want to beat his best friend's team anyways? 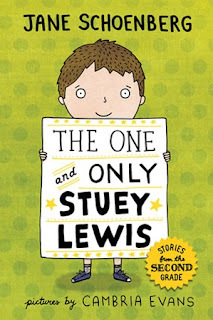 In the final story, set around the last week of school, Stuey faces his fears about moving on to third grade and he and Lilly both deal with their animosity, more or less, realizing it's not so bad to be nice to each other for a change. My first thought on finishing this story, was, quite frankly, that Stuey's teacher "call me Ginger" has no life. She's not only working full-time as a teacher, she's always on the spot to solve Stuey's difficulties, since she handily lives nearby. However, it's quite possible she has time to do this since it looks like there's about 9 kids in her class. I've noticed many beginning chapter books idealizing schools in this way and it's a bit annoying. There are a few points like this that felt unrealistic; as well as Ginger's 24-7 availability and the apparently small class, the kids are allowed - even encouraged - to read anything they want with no mention of lexiles, AR levels, or tests. Sounds lovely, but sadly doesn't match any school I know of. Stuey's name is a weak point also; I felt it was put in just to allow the possibility of teasing. I checked and Stewart apparently hasn't been in the top 1,000 most popular names for the last 12 years, so it's not a common name. However, despite these points, this story had a lot of promise and has already circulated decently in the library. The fears and concerns Stuey deals with are normal, everyday issues, but don't overwhelm his life or turn him into a morass of anxieties. The stories move nicely between his worries dealing with various new things and fun activities and family life. Stuey's matter-of-fact acceptance of his father's absence "Dad moved away" will resonate with the many children who deal with broken/blended homes. The text and vocabulary is age-appropriate and the print nice and large. Cambria Evans' black and white illustrations are a good fit for the slightly humorous but not too wacky stories and her characters with their big heads and round eyes are reminiscent of Peanuts and add a nice dimension to the text. 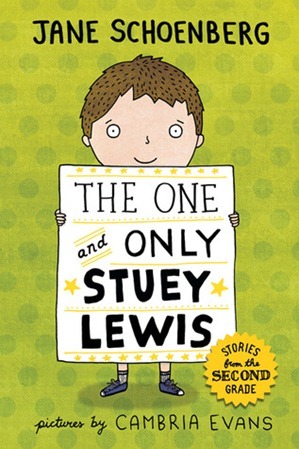 Boys and girls looking for realistic school stories for the early grades will appreciate the gentle humor and calm way Schoenberg defuses Stuey's fears. Verdict: If you find yourself needing more and more beginning chapter books, as I have found over the past few years, this is an excellent choice. Balance out the myriad of early chapters featuring girls as the main protagonists with this story of Every Boy. I just couldn't resist sharing this adorable new series I just purchased for the library from Bearport! 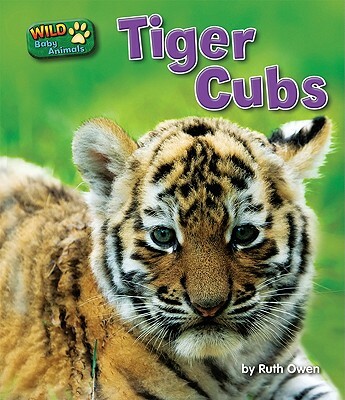 Each book in the Wild Baby Animals series focuses on a different baby animal, both domestic and exotic. The spreads have photos in a variety of sizes with a chunk of text and header in large print. The first section is "Meet some (insert animal) cubs" then information about the animal, their habitat and an interesting fact. This is followed with facts about their birth and early years. A glossary includes pictures and some simple definitions and there is also a little index and bibliography. These are the perfect introductions to a variety of animals for beginning readers. The sentences are short and simple, with enough interesting vocabulary words to give readers a good mental workout! 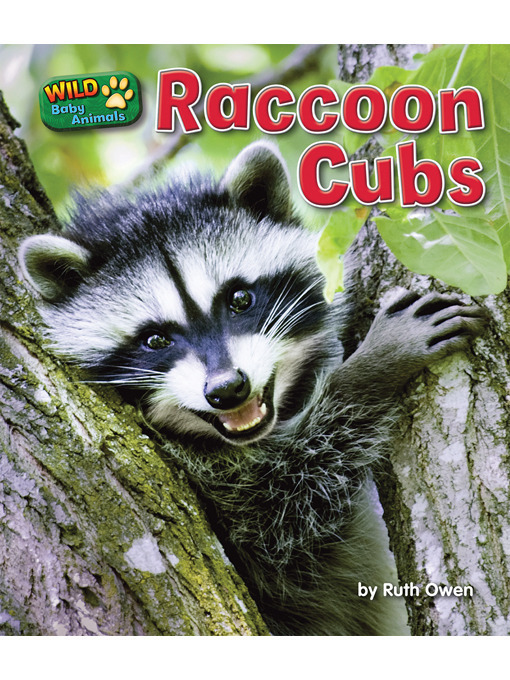 The photographs are adorable and plentiful, and the books are excellently formatted to give children an introduction to good nonfiction, with the back matter that is included. The captions on the pictures would be unnecessary in a series for older children, but fit in this easy reader series by adding additional vocabulary. I especially like the variety of animals included in this series, from raccoons to tiger, polar bears to skunks, beavers to arctic foxes. The books are small, about 7x7 inches, so they'll be comfortable for small hands to hold but won't disappear on the easy reader shelves. Sturdily bound, of course, and reasonably priced. Verdict: If you are planning to update your easy nonfiction, this is a must-have animal series, affordable and high-interest. Recommended! and played with the giant boxes. I'm never going to get a really good response from subbing, because so many people have an automatic reaction of "we expected Miss Pattie!" it would take a long time for me to build up a following among this toddler age group. Plus, I admit I'm not at my best in the evening, especially after being at work since 9am. But everyone was satisfied with the knowledge that Miss Pattie would be back next time and they liked my rhymes and stories (except Under the Snow, the pictures were too small for this group) well enough. I had about 14 kids and parents, mostly ages 2-4. Monday was also enlivened by a patron informing me that he is now going to come to our library because the other neighboring library he has been attending has a "psycho chick" and he doesn't like her. I soooo want a t-shirt "psycho librarian chick!" Tuesday - other than a pounding headache and constant interruptions, it was a good day. Started back with toddler storytime today, lots of enthusiasm welcoming back Miss Pattie! Ended the day with a 2 hour meeting and then onto dinner with Sara the Librarian and a discussion of Bearport's recent catalog and SLJ's fall 2011 Series Nonfiction (yes, it takes that long to get to us). We have decided that what OUR libraries need is more books on weapons. Not tanks or aircrafts - got those. More books on guns, bows and arrows, knives, swords, etc. both medieval and modern. Sara the Librarian says extreme sports books no longer circulate in her library; they're still popular in mine. We both want craft books that are longer than 32 pages and do not contain 6-10 crafts and cost THIRTY BUCKS. We both hate publishers who I shall not name who try to palm off 32 page nonfiction books with about 200 words total in library bound format only, especially when they're on subjects that will be outdated in a year. We both love Bearport - I've already placed my order this year, received the cuddly bear cub puppet, and cooed over my new books, now in the back being cataloged. Sooooo beautiful. Every one of them will be checked out and loved and still look nice and shiny several years from now - and my budget did not collapse in shock after I paid the invoice. Wednesday - the BIG DAY. This is the day programs really start back for me. Of course, it's also the day we're expecting 2-4 inches of snow, after an unbelievably mild winter. Preschool Interactive at 10am - I am now going to be posting my Preschool Interactive plans (complete with take home handout) every Thursday, with notes on how they went. Tell me what you think! Decorated snowmen pictures - I just glued three white circles to blue paper and they used markers and a little glue and some sparkles. Played in the children's area. Lego Club - I stretched the time out over 3:30 - 5 and had about 35 people total, which was good. Of course, I'd like to have back our 50+ numbers, but it depends on weather and after school activities, and this is a really good number. Thursday - another BIG DAY, now with SNOW included! I had a visit from a another Lakeland group, this time the junior high kids. I had already visited their class at their school, and now they came to see me! It was just four guys, not responsive, but I think they enjoyed themselves. We did a short tour of the library and then read some stories Wild boars cook, Duck soup, and There are cats in this book. No one had a meltdown, and they were mostly attentive and even turned some pages! Then it was time for the debut of the Elephant and Piggie Kids' Club!!! Of course, with the weather, it was...not as wildly successful as I had anticipated, given the number of people who had planned to come. I had...1 little girl and her mom. She loved the stories and puppets, and then was delighted to paint a piggie bank, her dad and younger brother joined us to paint a piggie bank, and another dad and son showed up. They all loved the painting and playing with puppets. I'm just going to use the same program again next time. Friday Was a half day for me, since I'm working tomorrow. I came in around 1:30pm in the afternoon and got set up for our special program of the month - Back to school with books and butterflies! Plan it at the end of January. We didn't have enough time to catalog and process all the new books. Decorate the butterflies with collage and glue instead of paint - or have a paint section for older kids and a collage section for younger kids. However nontoxic it is, I don't think toddlers should eat acrylic paint. Saturday Was Saturday. No more need be said. Time for a trip to the zoo...I need a stress-relieving session with the octopus. I feel less organized than...well, than I can remember in most of my previous semester starts. I said earlier this week to my coworker, Angela, "is it just me, or have our jobs DOUBLED in the past month?" and it certainly seems that way. Increased program attendance, the larger, more spectacular programs I have planned for the spring, more school visits - and school visits that involve more planning and preparation, like the Lakeland visits, increased circulation and an insane number of questions about ereaders (come on folks, at least try turning it on before you bring it in to us!!) seem to have left me exhausted before I even began the winter/spring session (then again, that could be the result of the combined efforts of Cybils, moving, and the massive weeding projects I did over the winter "break"). I am resigning myself to planning a couple weeks at a time, trusting to luck that my budget averages out and I still have money at the end of the year, and trying to keep my head above water. I'm also hoping to hit the 10,000 mark in program attendance this year! Here we come, 2012! His real name is Oluwalase Babatunde Benson, but everyone calls him No. 1. Why? Because he is the absolute No. 1 at car spotting in his small village in a country in Africa. With the men – and many of the women – of the village gone to the city for work, No. 1 lives with his mother, siblings, and grandparents and they and all the people of the village work together to survive and have a happy life. Each chapter is an episode in No. 1’s life. In the first chapter, he shows his family and the village that his car spotting is more than a hobby and comes up with a unique solution for their broken cart. In No. 1 Goes to Market, No. 1 is innocently enjoying the hard work and the amazing sights and smells of the market when something truly embarrassing happens. Nevertheless, he mans up and mangages to come through for Auntie Fine-Fine. In 7Up, we meet No. 1’s friend Coca-Cola and see how No. 1 almost loses his name by letting his stomach do his thinking. In the final story, No. 1 and the Wheelbarrow, No. 1 and his family have to make painful decisions when Grandmother is very sick and there’s no money for a doctor. Atinuke’s Anna Hibiscus stories introduced us to a little girl in the middle class and the warmth and love of her family. No. 1 introduces to a family that’s on a very different economic level, but still the importance of family shines through the story. No. 1’s inventive determination and gleeful enjoyment of his simple, impoverished life doesn’t sugarcoat the harsh realities but presents them in an age-appropriate and hopeful way. Warwick Cadwell’s sketches decorate every page, showing No. 1 and his village and their trials and celebrations. A few quick lines and shading show No. 1’s changing emotions as he solves his family’s problems and the enthusiasm and zest of his family and friends. 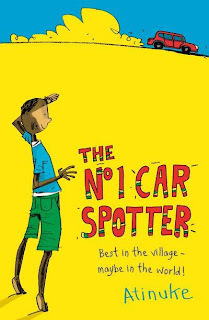 Verdict: This slim paperback would make a great read-aloud in a class or program; the story moves in the natural rhythms of a storyteller. 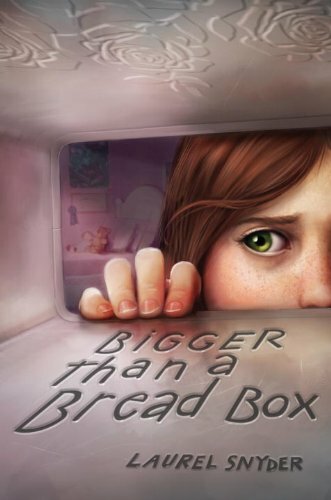 It may be difficult to get intermediate readers to pick up this story on their own, since they’re used to chapter books with either nonstop action or fiction about kids in conventional American elementary schools, but promote this to teachers as a read aloud and it will definitely find an audience. The lovely cover, with its hidden pictures and intertwined stories, perfectly captures the delicate beauty of this fairy tale retelling. 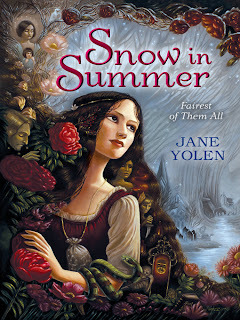 Yolen eschews the modern fashion for fairy tale retellings that veer towards cheerful fantasy or contemporary humor and returns to the roots of the fairy tales, weaving signs and superstitions, religion and belief, and the growth and strength of a single character. Snow in Summer is left almost an orphan when her mother dies. Only the loving care of her courtesy aunt, Nancy, protects her when her father retreats into his own grief-filled world. Until the day he comes home with a strange woman. Summer becomes Snow and Stepmama takes over her life until she forgets what warmth and love are like. As Summer grows she begins to struggle against Stepmama's power and in a final desperate attempt to escape she makes a new life for herself. In the end, she has her happy-ever-after and frees her family from the evil spell of a dangerous witch. There is a constant tension throughout the story as the reader waits for something climatically awful to happen to Summer, besides the slow destruction of her life and spirit. The language is simple but beautiful, pulling the reader through the tale to the slow blooming happiness of Summer's conclusion. This is aimed at the older end of middle grade, with much of the magic wound about Summer getting her period and some other more mature themes. Verdict: Not for every fantasy fan, this is unlikely to appeal to either younger children who like fantasy/humor-themed retellings of fairy tales or older readers who expect a romantic tale. However, if you have children - and adults - who truly love fairy tales and the blending of legend and magic, they will enjoy this carefully crafted retelling. Scot Ritchie has followed up last year's Follow that Map! with a new nonfiction book for young readers and listeners on structures. Beginning with foundations, each spread takes the group of friends through the parts of a building as they research buildings on their way to and at the library, planning to build a doghouse. The book finishes with instructions on building a house with marshmallows and popsicle sticks. 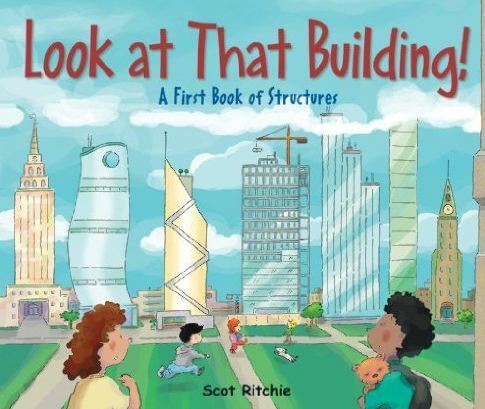 The text is easily understandable by young children and does a good job of explaining the basic elements in a building; foundation, frame, support beams, columns, roofs, etc. However, I was disappointed by the pictures. The cartoon-style illustrations didn't give the amount of detail I would have liked to see and although each of the five children are identified by name at the beginning, it's difficult to remember which is which, especially because the featured child, shown in a small inset in the text, does not match the child being talked about in the text, whom you have to hunt for in the pictures. Verdict: Not as good as Ritchie's first book, but still a solid explanation of structures for the very young. This week at the library; or, Planning, planning, planning! Our last short week - Tuesday through Friday. It's all been planning, planning, planning for programs. Or it was supposed to be. Tuesday - Panic! My lovely large new book order is still marked "pending." I need those books by the 13th! I called BWI and they take care of it for me (see, this is one of the many reasons I LOVE BWI. GREAT customer service! Thank you Laura!!) Note to self - next year, plan this program LATER. Struggling with displays - I often see articles in library magazines or online talking about using displays when you're understaffed....well, I generally spend an average of about an hour a day filling in and straightening displays. Not making new ones, selecting books, creating slogans/decorations, etc. Just keeping them filled in. Our displays are hugely popular, but I'm going crazy trying to keep up with them on top of everything else! I am working on handing the teen displays over to my aide and trying to plan out the displays a little more. I tried last year and ...yeah, trying again. Yay! Newsletter done! We're trying everything combined in the newsletter, instead of separate event calendars. Got all my supplies for January ordered. I hate to do it month at a time, because I'm always worrying about running out of money by the fall, but unless I plan all my programs ahead of time, which is NOT happening, I don't know what supplies I will need. Argh, I'm behind on my scheduled blog posts! Will have to take care of that Wednesday night. I've been so busying cleaning up old posts and reorganizing links and tags that I got behind in writing new ones! Wednesday - visited all the schools and daycares, dropping off flyers and a letter to the staff and teachers. Got a call back from the biggest daycare/preschool who wants to come for a visit! However, I seem to be unable to convince our nearest elementary school to visit regularly. The kindergarten, 1st, and 2nd grades come once in the fall, I visit all the schools in late May/June for summer reading promotion, but can I get 3rd grade to come for a monthly visit and check out books? No, I cannot. I am at my wits' end! Got completely SLAMMED on the desk all afternoon, crazy busy! Endless questions about ereaders! Penguins! Class textbook lists! But managed to get the puppets mended and a few other minor things done. Thursday. Another busy, busy day. Somehow my "planning" times always seem to coincide with our busiest times at the library...a day of disappointments - I can't afford (or fit) the giant whale I wanted for our summer kickoff (trust me - it was COOL) and I think I'm coming down with a cold...two best stumpers of the evening "I saw it in your new chapter books last year, or maybe the year before and the cover was light blue and looked kind of like the Never Ending Story" and, even better "a movie that was a sequel"
Augh! Somebody drew with marker on my new flannel board! I hadn't even used it yet! The salesman gives a heavy salestalk, is very rude and difficult to get rid of, refuses to leave a business card or contact information, the books are inferior, the discount is poor. I am furious at allowing myself to be pressured to buy from him and in this coming year promise myself that I will hang up, kick out, and otherwise refuse all salespeople. ROAAWR! NOT READY!! Programs starting!! Aghhhh!!! Elizabeth is a girl who knows her own mind - and her own name. That name is not Lizzy or Beth, or Betsy. It is ELIZABETH!! 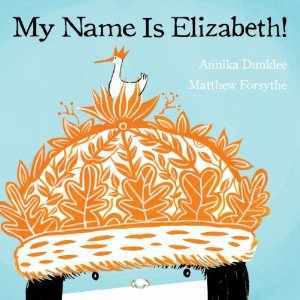 Readers will cheer for enthusiastic and determined Elizabeth who finally gets everyone to acknowledge her name after suffering through a series of nicknames. She has a charming egotism, "I also like that there is a queen named after me" and Dunklee's text, a running dialogue between Elizabeth and her world, is perfect in tone and phrasing. Forsythe's art, in black, orange, and blue, is delightful in line and style. Elizabeth is a perky young girl with a sassy pixie hair cut and indefatigable energy, moving through life with verve and a pet duck. There are little jokes and humorous asides throughout the pictures, but the focus never leaves Elizabeth who is always the focal point of each spread. Verdict: A delightful debut for both author and illustrator, I highly recommend this title and look forward to more. 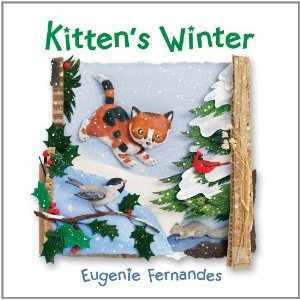 Fernandes finishes her quartet of season books on a high point with this story of Kitten's journey home. Running through the snow, sliding across the pond, slipping between the trees, Kitten passes numerous winter animals until she reaches her own cozy bed. Like Fernandes' other titles in this series, there is opportunity for endless discussion and seek and find fun in the pictures, looking for Kitten, discussing what different animals do in the winter, and find the subtle little elements in each spread - a blowing snowman's hat, an inquisitive bird, and more. The artwork is a fascinating mixture of clay, collage, and acrylics, offering another opportunity for discussion and programming. Endless hours can be spent examining each page for all the different materials used and making your own kitten collages! Verdict: The simple language in this last of the quartet is, as always, perfect for toddler storytimes, while the vibrant and complex art makes this a good book for discussion with older kids or for an example in art programming. Highly recommended. Soft pastels show a large family expressing their love for Baby, from parents to cousins, grandparents to aunts and uncles. 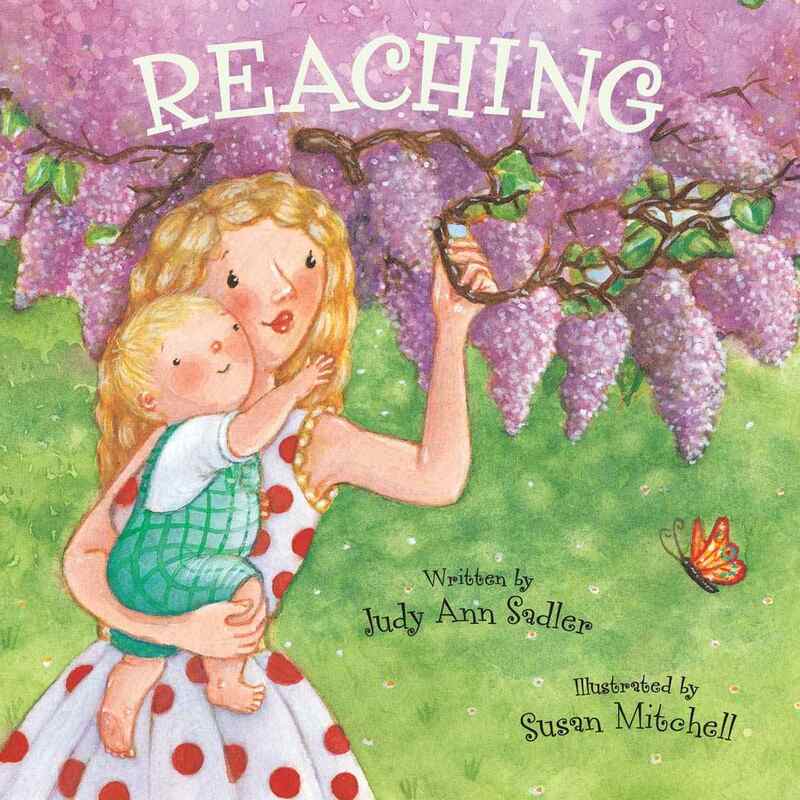 The rhythmic rhyming text swings Baby from one set of hands to another, playing, reading, and cuddling. I'm not the best audience for this book, since I'm not a fan of rhyming picture books, "mommy love" picture books, or any combination thereof. However, the pictures are sweet but not too saccharine, the rhymes are competent, and this will be a favorite with families who like to read these stories to their little ones. Verdict: Recommended for library collections, just not for me. I prefer Sadler's many excellent craft books. 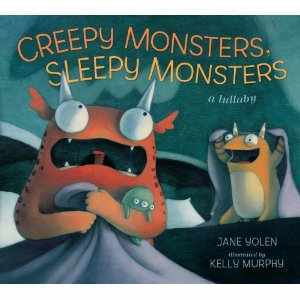 Creepy Monsters, Sleepy Monsters by Jane Yolen, illustrated by Kelly Murphy. Yolen's simple text, "Monsters slither, monsters wave/All in a hurry to get to their cave" is glowingly illustrated with Murphy's oil, acrylic and gel paintings. Over the meadow and up the wall. But they toss and turn and bounce instead. The change in rhythm and the disintegration into sounds at the end - it just didn't work for me. However, I'm always reading with an eye for storytime and while this one won't shine in that area, I can see it working well as a one-on-one bedtime story with the slow building of repetition and drifting off to sleep. Murphy's pop-eyed monsters add just enough "ick" factor while still giving a cozy feel to the tale. Picture book authors seem to have an irresistable compulsion to write bedtime stories, often featuring monsters, and so few get the balance between sweet and scary just right, but Murphy and Yolen have done a good job here. Verdict: This isn't going to replace Rosoff's Jumpy Jack and Googily or Noll's I Need My Monster in my affections, but it's a solid addition that patrons will be happy to check out again and again. Recommended. I've been excited about this title ever since I first heard about it last spring! Full disclosure: I am fascinated with Scandinavian folklore and fairy stories and especially those tales with bears. Interestingly, Jan Brett also has a version of this tale, Who's that knocking on Christmas Eve? published in 2002 by Putnam, but Yolen takes a very different approach to the story. The basic story (the title I'm most familiar with is The Cat on the Dovrefell)...every year a pack of trolls make trouble on Christmas Eve, eating up all the family's good things. One year, a traveler with a bear stops by and with his help the trolls are frightened away. 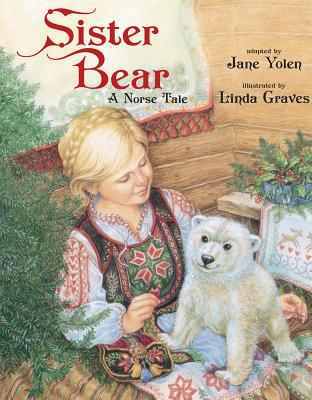 Yolen's retelling focuses on the bear and its owner, a girl named Halva in this story. She raises the bear from a cub and it becomes tame, learning to dance, wear clothes, and hunt for the family until they call it "Sister Bear". Halva and her bear decide to go and see the king of Denmark and set out in the snow. On Christmas Eve, they stop at the Dovrefell and ask to spend the night in a cottage - but the man, Gusterson, says he and his family have to leave every Christmas Eve because of the pack of trolls who take over the house. Halva refuses to leave and she and Sister Bear settle down for the night in the cozy cottage...until along came the pack of trolls! They eat all the food and make a big mess, but then they start teasing Sister Bear, thinking she's a cat. The trolls are chased out, Halva cleans house, and the family invites her to come back every year! With one last warning to the trolls, Halva and Sister Bear finish their journey to the king, where they are a great success, and every year afterwards they spend Christmas with the Gustersons. 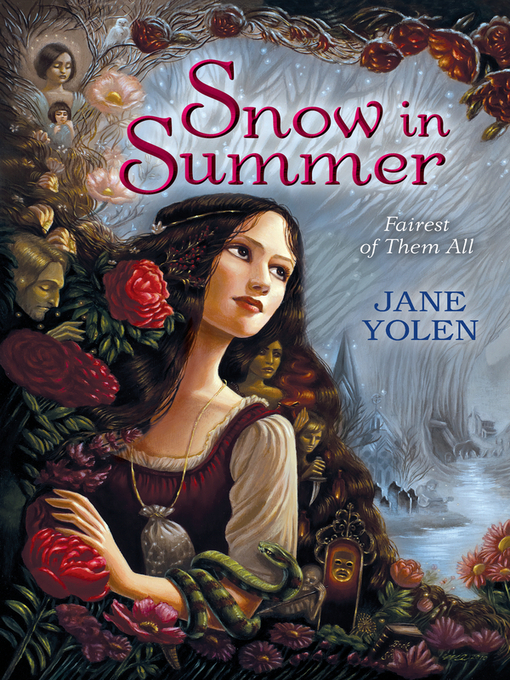 Yolen's lyrical writing captures the sparkling flavor of the Scandinavian tale, with the characters' brisk chatter, clever tricks, and the stupid but dangerous trolls. The retelling hits all the major points of the original story while still being a good length for a read-aloud with younger children. Linda Graves' illustrations are the perfect fit, with elaborately patterned clothes, glowing firesides and shining snowy landscapes, and a horde of tattooed and terrifying trolls. Yolen includes an author's note detailing the tale's origins and some of the changes she's made to the story, along with sources and references. Verdict: Add this one to your fairy tale collection and to your winter storytelling repertoire. A few sound effects make it an alternatively creepy and funny story for older listeners, while preschool children will appreciate a straight read-aloud with the swinging cadence of the text carrying them through the longer story. Highly recommended. On an American Day vol. 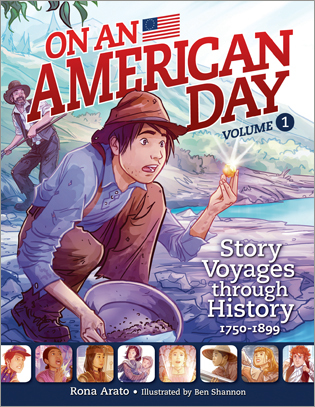 1: Story voyages through history, 1750 - 1899 by Rona Arato, illustrated by Ben Shannon. This oversized paperback volume contains historical fiction set in different areas during the 1750 - 1899 time period with further historical information about the time after each story. Each story is about fictional children in a specific time period and includes the appearance of a major historical character. "A different kind of friend" tells the story of two fictional boys in Philadelphia 1765, one Irish Catholic, one Jewish, as they learn about religious tolerance. The additional information gives the historical context for religious freedom in Philadelphia, talks about Benjamin Franklin, and explains a little about Quakers and their legacy, including the Underground Railroad. "A recipe for victory" looks at Valley Forge from the perspective of a young Oneida girl, Polly Cooper (an actual historical figure). The additional information talks about Valley Forge and the Oneida's heritage and continued fight for their rights. "A new way to see" introduces a girl named Emma, being sent to the Perkins School for the Blind in 1838 Boston. The additional information gives context for the Perkins School for the Blind and talks about Dr. Howe and Laura Bridgman. "A gold nugget for Adam" is placed in Sacramento 1855 and shows a young boy named Adam trying to break his father of the gold fever and gambling and go back home to their family. The following historical section talks about the gold rush and how the US took over California. "A boy with a drum" looks at the second Battle of Bull Run, in VA 1862 through the eyes of a drummer boy. The historical information talks about the importance of the battle and the place of drummer boys in the war. "No more masters" is set in Berea, KY, 1867 and shows a freed girl named Cora in the specially integrated town. The historical information explains the history of the community and its involvement in human rights. "The last rail" shows a 14 year old Chinese boy named Chan involved in the building of the railroad in Utah, 1869. The historical information talks about the part Chinese laborers played in the building of the transcontinental railroad - and the railroad's part in opening up the west. "Finding Sarah" presents Clara Barton through the eyes of a young girl who has survived the Johnstown Flood in 1889. The historical information talks about the flood, and the part the Red Cross and the telegraph played. "A new hope" is the final story and talks about two immigrant Italian orphans and their experience in Hull House in Chicago 1899. One the one hand, the stories and historical afterwords contain a lot of interesting information. They focus on historical events and time periods from a child's point of view and include a racially and culturally diverse group of people and children. The historical information also includes photographs and spotlights on famous people and buildings. On the other hand, I am doubtful about fictionalized stories - it seems to me it would be better to research and write the stories of real children and their lives. While the historical contexts appeared to be well-researched, there were no sources or bibliography with further information. The stories themselves were rather poorly written, sometimes choppy, and the dialogue often seemed stilted and unreal. It seemed that many of them were staged to present certain ideas and often seemed to be more contemporary in their views of immigrants, native peoples, and tolerance although prejudice was shown as well. 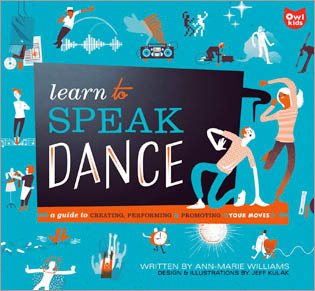 Learn to speak dance: A guide to creating, performing and promoting your moves by Ann-Marie Williams, designed and illustrated by Jeff Kulak. Once I had gotten used to the oddly retro style of illustration, I really enjoyed this book. It walks kids through different styles of dance, learning to create moves, and finally perform and promote a show. Along the way, there are quotes from dancers, historical information, information about how people learn to dance, the importance of dance in our lives, and more. The picture book-sized paperback may be a difficult sell, but if you have any tweens or teens interested in dance it's worth adding this to your collection and convincing them to take a look. I think the book could have been improved with photographs, instead of illustrations, of the various techniques and historical dance moves, but the modernistic illustrations were adequate and fun. Verdict: An interesting and well-presented book with plenty of information. Recommended.